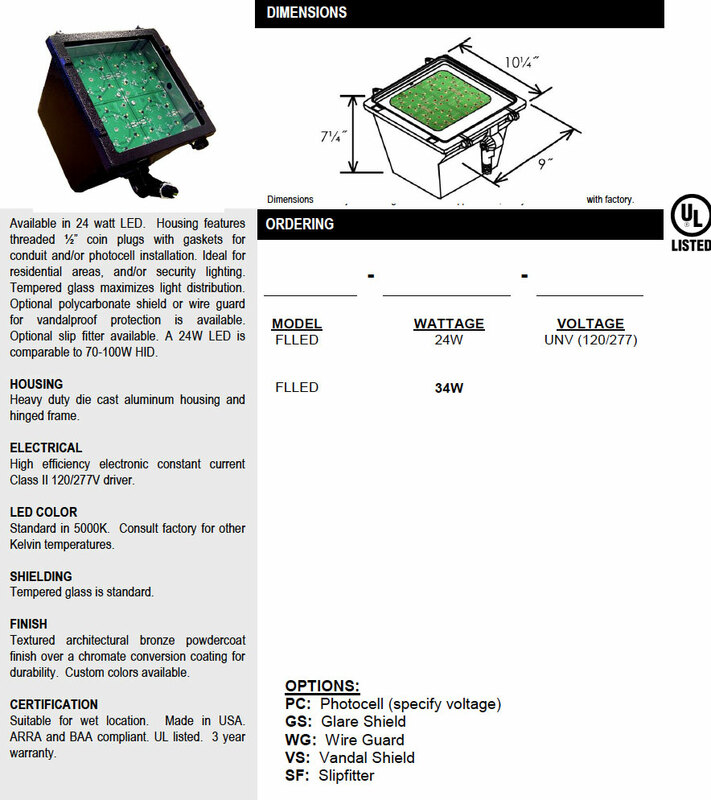 The FLLED Medium Floodlight LED Luminaire is available in 24 watt LED. 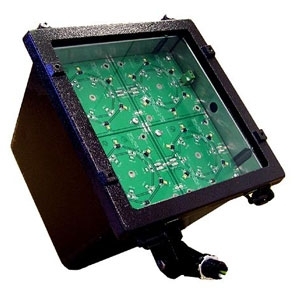 The housing features threaded ½” coin plugs with gaskets for conduit and/or photocell installation. Ideal for residential areas, and/or security lighting. Tempered glass maximizes light distribution. Optional slip fitter available. A 24W LED is comparable to 70-100W HID. Heavy-duty die cast aluminum housing and hinged frame. Textured architectural bronze powdercoat finish over a chromate conversion coating for durability. Contact RLE for custom colors available.